Is it Winter or is it Spring? Northwest Florida winters can be a rollercoaster ride of temperatures. One week it dips to freezing for a short time and the next week it rises to spring-like temperatures. We need to hold on for this ride of up and down temperatures but not over react too soon. Following the sudden ride down to the lower temperatures, we may think winter is over. But we don’t see the next drop in temperatures that’s coming, as we are experiencing the ride upwards in temperatures. On average, it’s not until we reach mid-March that we expect our last killing frost. A killing frost is heavy enough to kill tender plant growth. And, we can have light frosts well into the latter part of March and into early April. This is particularly true in the more northern portions of our Panhandle Counties. The main point is to not get spring fever too early and encourage new plant growth by pruning or fertilizing too soon. 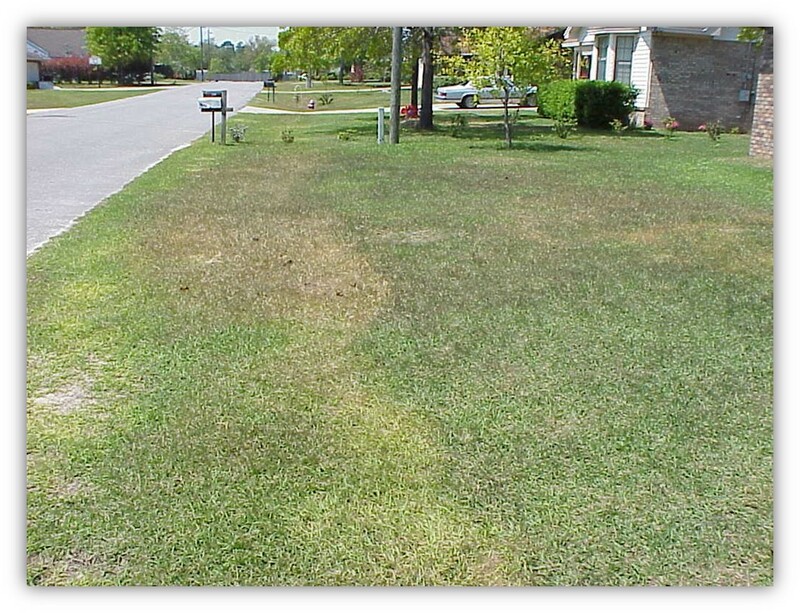 waiting but you can certainly injure your lawn by fertilizing too early. So, have patience, allow your lawn to green up on its own and then fertilize, even if it’s not until April or May. Finally, be a little philosophical. If you do lose one or two of your tender ornamentals, so what? Worse things could happen. And now you have a chance to add something new, perhaps some species native to our area that are not as subject to cold damage. Even with this winter/spring rollercoaster ride, with thousands of plants to choose from and a generally mild climate, who can complain? 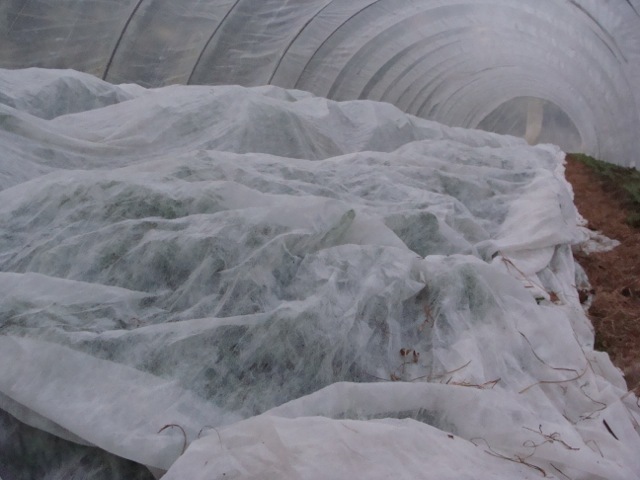 When Do Winter Vegetables Require Frost Protection ? 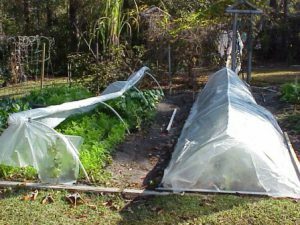 In Northwest Florida gardeners are fortunate since it is possible to grow ample supplies of vegetables throughout the winter months. 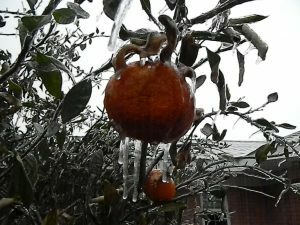 While the Florida Panhandle does receive the occasional hard freeze, many winter vegetables such as radish, onion, lettuce, carrot and the various cole crops, can easily withstand mild freezes. When a hard freeze occurs, defined by temperatures that dip below 28°F for over five hours, it is important to be prepared with frost cloth, cotton sheets or other suitable material. Frost cloth is a good option since it protects plants from morning frosts while still allowing for a little air transfer. It is a synthetic fabric which offers 4-8 degrees of protection and is available through many online greenhouse and agricultural suppliers. 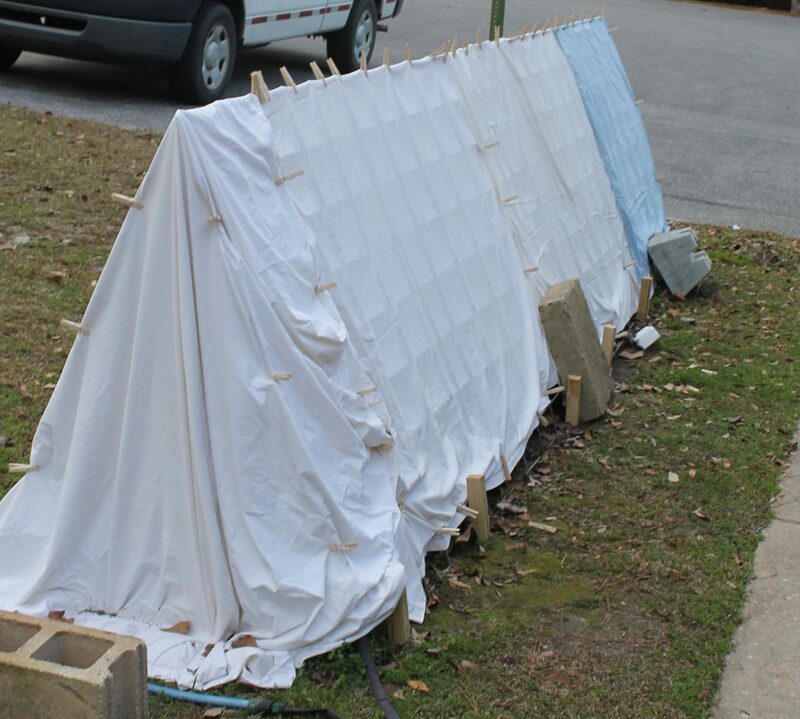 Old cotton sheets, often found at thrift stores for very low cost, offer good protection from frost damage. With both of these products, ensure that the coverage extends completely to ground level with no gaps, to not allow cold air to infiltrate from the bottom. While these methods will not provide enough protection to allow summer vegetables to be grown during winter months, it can be beneficial in reducing frost and freeze damage to winter vegetable crop. Do not use plastic covers, since they radiate cold and heat more readily. Even if they protect the plants from the cold, they can quickly trap heat in when the sun rises and “cook” the plants. Additionally, it is important to keep vegetables well-watered at all times, but this is especially true during frost events since moist soil holds more heat. Healthy, appropriately watered plants withstand cold stress at greater rates. Happy gardening over the Holiday Season! While palms may survive, or even thrive, for years in climates cooler than those to which they are native, eventually they will experience temperatures cold enough to cause injury. Here in Northwest Florida, it was January 2014. Unfortunately, much of the damage was not evident until the summer of 2015. The palms held on with stored food reserves. When cold damage is severe, plant tissues are destroyed and water uptake into the plant may be reduced for years. Many times it is only the protected bud that will remain alive. The stem slowly weakens until it can’t support the weight of the crown and it collapses. Winter is upon us again. So, if you still have palms in the landscape, be prepared, should we experience some extreme weather. Here’s a reminder of what to do. One of the most common problems associated with freezes is that the freeze-killed lower portion of the spear leaf is degraded by secondary fungi and bacteria that are always present in our natural environment. 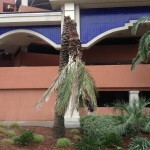 Palm owners are often anxious to trim off the damaged leaves following a cold weather event. Avoid the temptation to remove these fronds until danger of additional freezes has passed. Even dead leaves provide insulation to the critical bud. As the weather warms, the dead fronds need to be removed from around the bud so that the spear can begin to dry out. Drenching the bud area with a copper fungicide will reduce the secondary microbes. Repeat applications will need to continue as the palm leaves develop. Copper fungicides, unlike other fungicides, are active against bacteria and fungi. Be cautious to not use a copper nutrient spray rather than a fungicide. Delay fertilizer application until new fronds have developed. The best analysis for palms is 8-2-12 + 4Mg. Utilization of proper palm fertilization can improve cold hardiness of palms. Palms damaged by cold can still show symptoms six months to a year following a freeze. New leaves in the spring may appear mis-shaped. Usually the palm will outgrow the damage. However, sometimes the palm loses its ability to take up water. 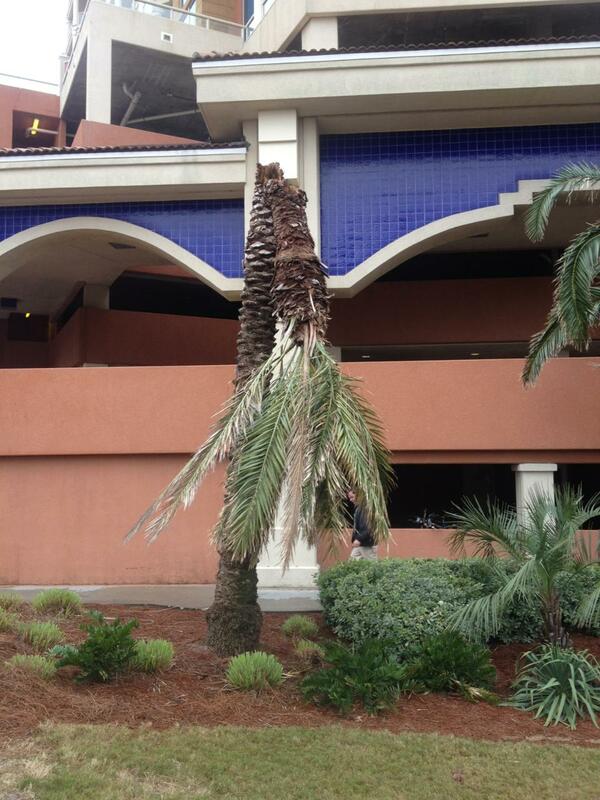 If there is a sudden collapse of the fronds in the crown during the first hot days, the palm may die. There is nothing that can be done to save the palm. 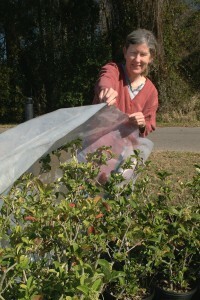 North Florida’s gardeners are facing a new set of challenges dealing with the effects of cold weather. However, a little planning and creativity can make plant protection in the landscape a relatively simple process. Covering plants to protect from frost. UF/IFAS Photo: Sally Lanigan. 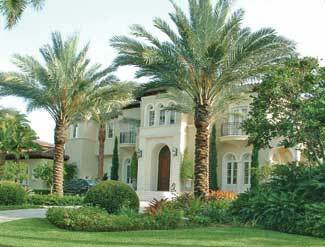 Many homeowners and landscape managers want to know when plants will need protection. The point of freezing is a good rule of thumb for most temperate zone plants. It is worth noting there is a difference in the terms used for cold weather conditions. Frost, freeze and hard freeze all describe different circumstances. Frost is when water vapour freezes on surfaces. It usually happens on clear nights with still air and can happen when reported air temperatures are above freezing. Freezing is when cold air moves in and causes temperatures to drop below 32 degrees Fahrenheit. This condition commonly involves low humidity and wind, making drying out a big problem for plants. A hard freeze is when temperatures dip below 28 degrees Fahrenheit. Some tropical plants will survive a few degrees below freezing for very short periods, but extended periods of freezing or heavy frost may require lights or other heat used safely in combination with covering the plant. Some plants can be moved indoors for the holidays and incorporated into the interior décor, rather than cramming them last-minute into a chaotic bundle when a freeze looms. Get prepared by identifying old sheets, blankets and drop cloths which can be used as covers for tender or tropical zone plants which must remain outside. Test potential covers beforehand to assure all plants will be thoroughly covered. It is best if the covers enclose the plant entirely without crushing it. Heavy blankets are great insulation, but only a good idea on the sturdiest of plants. 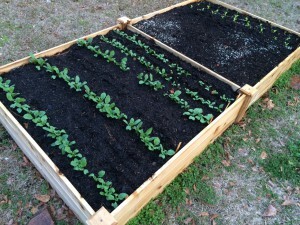 A tomato cage or other support structure can be used to keep the weight off the plant. Covers also need to be secured at the ground with pins or weights to assure cold air does not enter from below and collect under the cover. Finally, keep storage bins handy and remove the covers in the daytime if temperatures are above 55 degrees Fahrenheit. 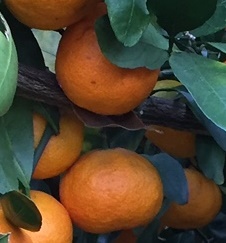 Monitor weather reports and react accordingly so tender and tropical plants see spring 2016. 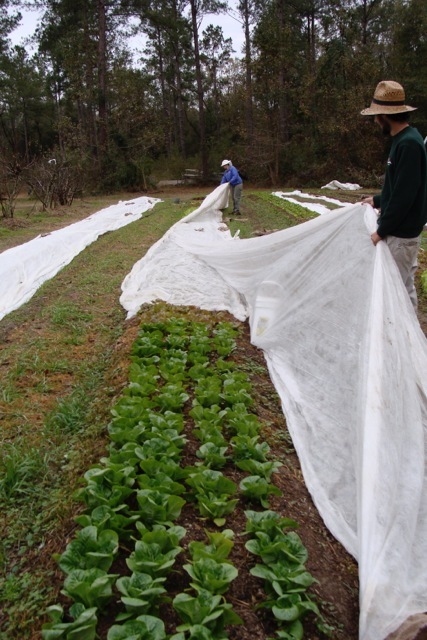 Covering a row of lettuce with frost cloth at Turkey Hill Farm. Photo by Turkey Hill Farm. While most of Florida does not have to worry about freezing winter weather, the Florida Panhandle is certainly an exception. North Florida experiences a few hard freezes – temperatures less than 28°F for over five hours – every year. Although most of our cold weather occurs in January and February, we can expect our first frost around the second week of November. Therefore, it is important for gardeners to be prepared. Most of the Panhandle is in zone 8b, which means average minimum temperatures are between 15 and 20°F. Nights – especially consecutive nights – that get this cold can “burn” the tips of even the toughest vegetables, such as collards and kale. It is also important to remember that if you live in a more rural area, temperatures will be slightly cooler, relative to the city. Frost is also more likely to occur on clear nights, as heat that radiated down from the sun during the day will escape the atmosphere at night, if clouds are not present. Also, if you were late getting your fall garden started, it is even more important to protect your vegetable plants, as young plants are more susceptible to cold weather. Young plants are more susceptible to cold weather, so be sure to use cold protection. Photo by Molly Jameson. One strategy home gardeners can use to protect their plants during cold weather is to use frost cloth. Frost cloth is a breathable polyester fabric that is light weight and heat-retentive. It can moderate temperatures about six to eight degrees Fahrenheit. Use it on all of your garden plants if there is a hard freeze, but do not cover cold hardy vegetables in mild frosts, as their flavor can actually become sweeter in cool weather, and the plants will become more tolerant to the cold. Frost cloth can be found at most plant nurseries, and it can last multiple years if you take care of it. Use wire hoops to keep the cloth off smaller crops, as ideally the cloth should not touch the plant. Most importantly, the cloth must touch the ground at all points to be effective, as it works by trapping heat that radiates from the soil and increases the humidity around the plant. In the morning, do not remove frost cloth too early, as quick thawing can actually cause the most severe damage. Wait until the outside air temperature is about 50 to 60°F. Since frost cloth is breathable, if temperatures do not reach 50 to 60°F during the day, you can leave it on multiple days. Frost cloth in high tunnel at Turkey Hill Farm. Photo by Turkey Hill Farm. Sheets or blankets (not plastic) can be a frost cloth substitute, but there are disadvantages, such as not allowing proper air circulation or not being large enough to reach the ground. Another strategy that can help keep your garden safe from cold weather is to keep your plants well watered, as frost damage is actually dehydration. When ice crystals form on the leaf surface, it draws moisture from the leaf tissue. 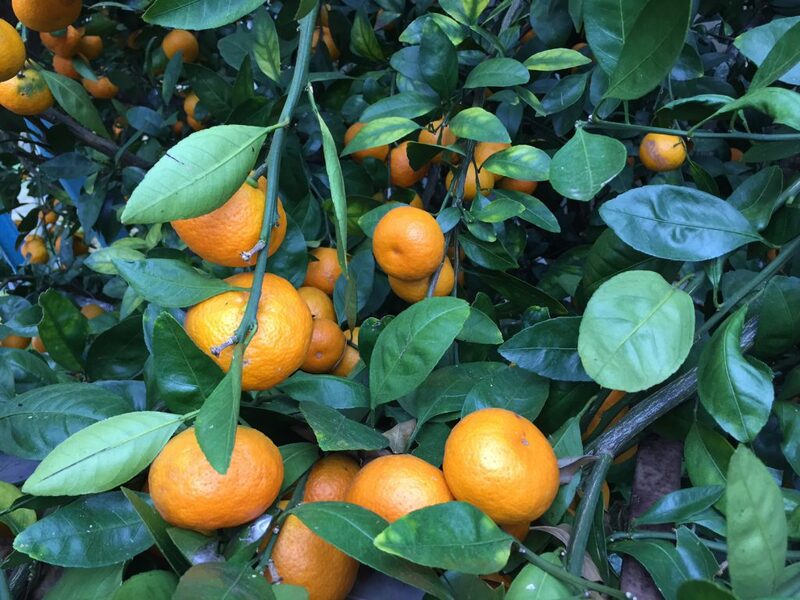 Damage will therefore be less severe if the plant is not already drought-stressed. You can also mulch around the base of your plants with wood chips or straw to help moderate soil temperature and retain moisture. Being prepared for cold weather will help keep your vegetable garden going strong all the way into the spring. Remember that healthy plants will be more resistant to cold weather than unhealthy plants, and investing in a few sheets of frost cloth can go a long way to ensure your veggies survive our chilly North Florida winters.